…and on a lighter note. On Friday I met up with my student, Rachel who I have worked with for three years. She is moving to Manchester and going to finish her degree at Manchester University. 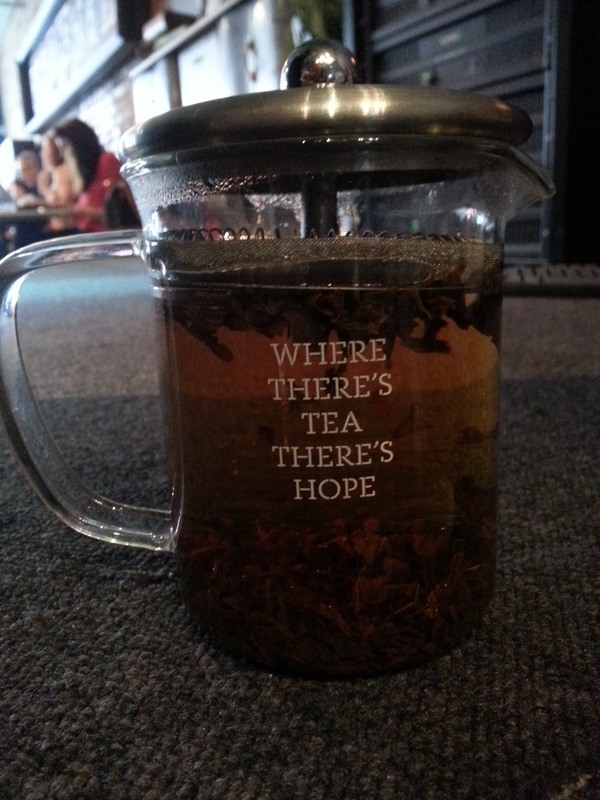 I thought I would be sad to have our last coffee/tea but the day was nice. After meeting up in Costa and I having a cappuccino and toasted tea cake, we headed into town and to Leaf, a tea shop in Liverpool! I had not been there before and the cafe/restaurant was very bohemian. The tea we ordered came in neat little pots and it was nice to see fresh ingredients being used. Saturday and David has been working all day on putting his TV on the chimney breast. No DIY job goes smoothly in a 1901 house!! In the garden. 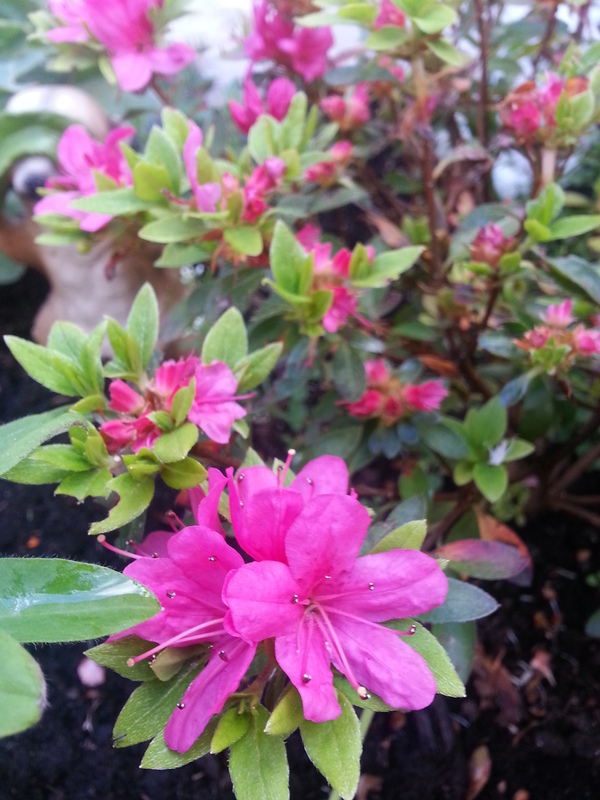 My Azalea is looking wonderful and David’s Acer is sprouting back to life! For the evening dinner I decided to dress up for the curry we had, and in the garden David took a picture. Do I look like a nymph or an alien? ?